To contact our Private Dining Manager call us at 650-802-9222 or email gin@mistraldining.com. 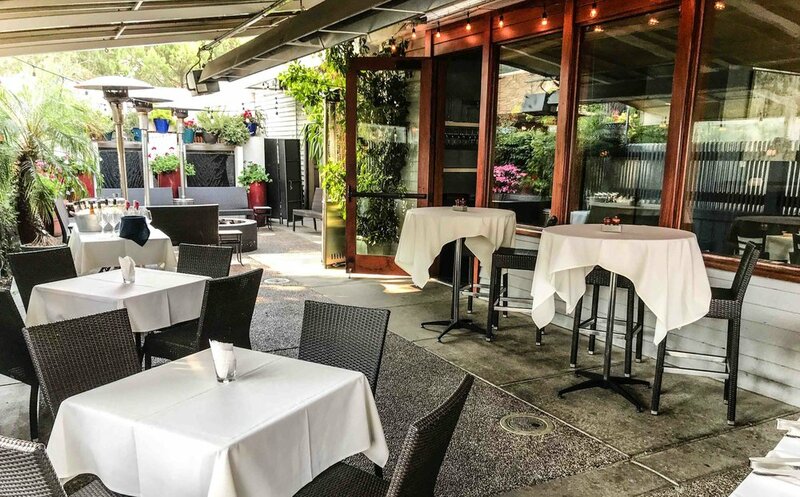 We have two private rooms & a covered patio available for private dining, business dinners, banquets, cocktail parties & special events. 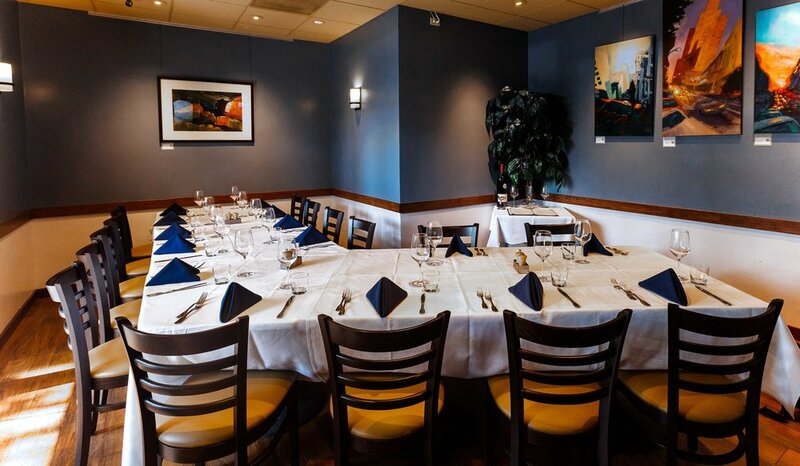 We have flat screen monitors in both of our private dining rooms for ease of presentations. OUR PATIO IS OUR MOST POPULAR AREA. 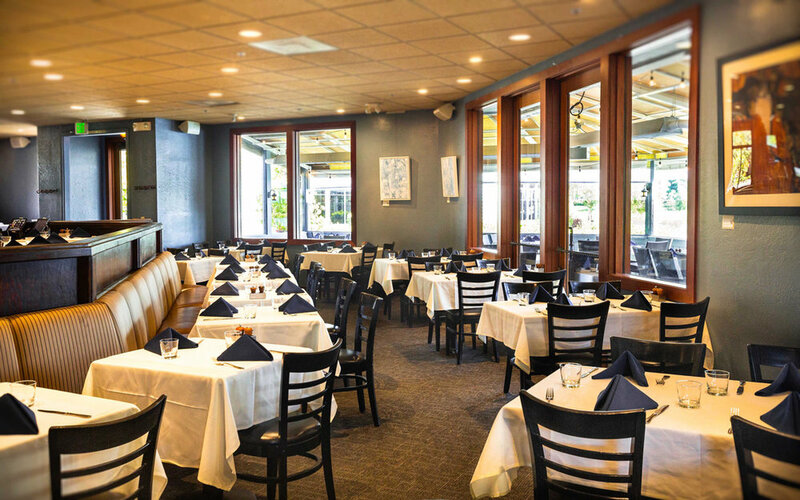 IT IS FULLY ENCLOSED & SEPARATED FROM THE MAIN DINING ROOM. ENJOY HEATED WARMTH THROUGHOUT THE YEAR, GLASS WINDOWS WITH VIEWS OF THE SAN FRANCISCO BAY. FRONT PATIO WITH WATER VIEWS - THE FRONT PATIO HAS GREAT WATER VIEWS AND CAN FIT UP TO 30 PEOPLE. Seats up to 22 on one long table, or up to 34 with multiple tables, or up to 50 for a cocktail party. SEATS UP TO 18 WITH ONE TABLE, OR 24 USING TWO LONG TABLES, OR 20 WITH 4 ROUND TABLES, OR UP TO 30 FOR A COCKTAIL PARTY. SEATS UP TO 75 USING TABLES OF 6 TO 8 PEOPLE. THE PRIVACY OF THIS AREA GIVES ACCESS TO THE FIRE PIT AND HOLDS UP TO 40 PEOPLE. We offer three different party menus for lunch & three different party menus for dinner. Private dining menus allow you to choose three entrees from the available list, unless you choose the ‘add additional entree choice’ option. Substitutions will be made with chef approval only & will be an additional cost. Menu prices include food items only. If you would like to provide wine for your event, the standard corkage fee is $18 per bottle for the first three 750 ml bottles. Additional 750 ml bottles will be charged as $36 each. Our corkage fee for Magnum wine bottles and larger bottles is $36 for the first two and $72 for additional magnum wine bottles.